Atrial fibrillation (AF) is the most common cardiac arrhythmia in clinical practice, accounting for approximately one-third of hospitalizations for cardiac rhythm disturbances. The highest incidence of AF is in patients 70–80 years old and other high-risk populations. Although the diagnosis of AF is usually straightforward, effective treatment strategies are less well implemented. This is particularly true for antithrombotic therapy, which is very effective at preventing thromboembolic complications of AF. Stroke is the most significant morbidity in AF patients. The yearly risk of stroke increases from 1.5% for AF patients aged 50–59 to 23% for those aged 80–89. Ischemic strokes secondary to AF carry twice the risk of death when compared with strokes from other causes. 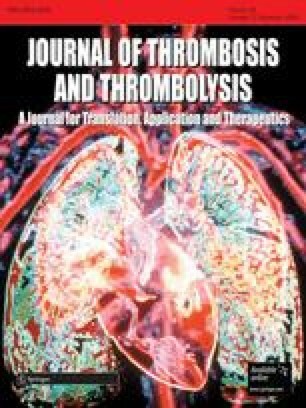 We provide a practical and useful review of the most recent American College of Cardiology/American Heart Association/European Society of Cardiology guidelines-based care and future directions of antithrombotic therapy for patients with AF. Fred Spencer, MD, Professor of Medicine, McMaster University served as the Guest Editor for the manuscript.